Big Sur is one of America's must-see destinations and one of the world's iconic coastal landscapes. The Big Sur stretch of Highway 1 lives on the road- trip short list of many, and rightfully so. Given Big Sur's draw as a road trip destination, the majority of Big Sur's visitors tend to wing it and drive the 90-mile stretch of California coastline between San Simeon and Carmel, taking in the views through their car window and stopping at popular spots with most of the crowd. Yet some of Big Sur's greatest gems - be it redwood-filled canyons, waterfalls or tranquil ocean coves - are easily missed, hidden from Highway 1. With a bit of planning and additional time, one can experience an entirely different side of Big Sur. We've put together our guide to exploring Big Sur from the south to the north to help you plan your own adventure. Quite honestly, it's simply too much to see and do in just a single day. The only way to really get to know a place is to spend time there, exploring beyond the pavement. Sand Dollar Beach is Big Sur's longest and widest continuous strand of beach, running nearly three-quarters of a mile. 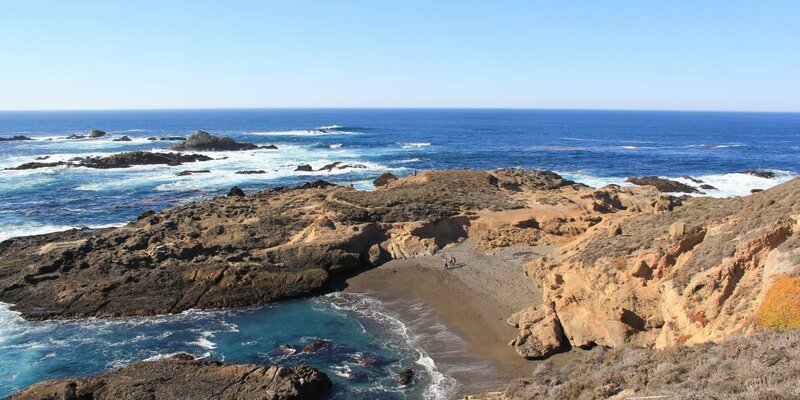 This is an ideal spot for beachcombing, lounging, tide pooling, and surfing. 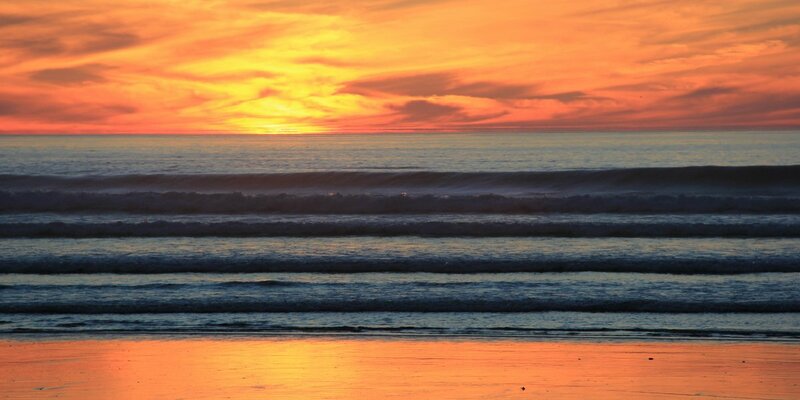 Pitch a tent in one of the 40 sites at Plaskett Creek Campground right across the highway from Sand Dollar Beach and be the first to hit the waves with the sunrise. Nearby Willow Creek, Pacific Valley and Mill Creek beaches offer additional beach and ocean access where you may find you have the beach to yourself. 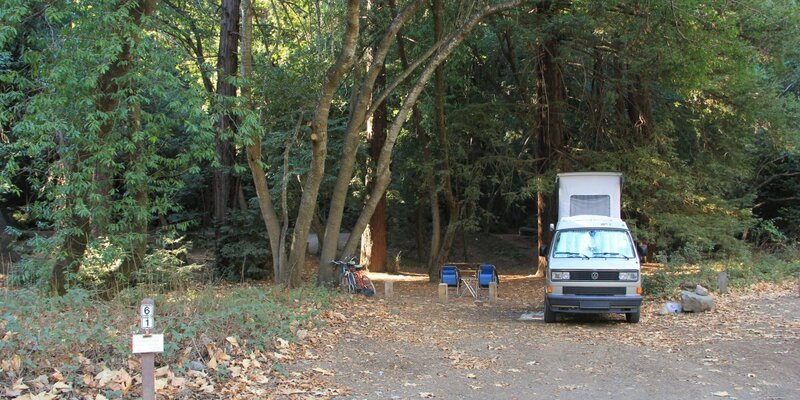 Just a few miles north from Plaskett Creek Campground you'll find Kirk Creek Campground. 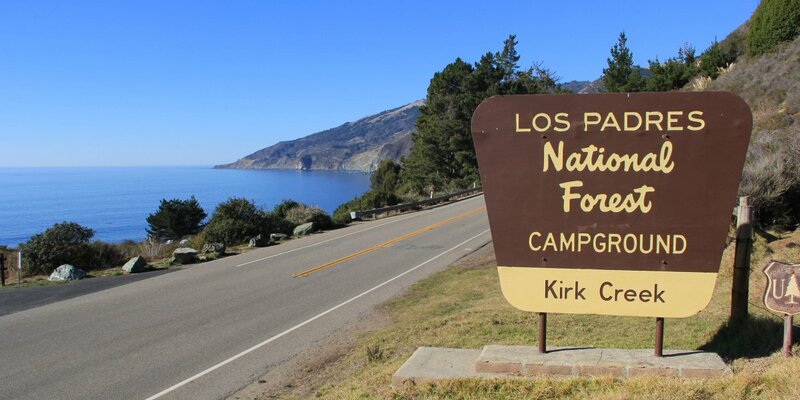 This is one of coastal California's most scenic campgrounds, making it difficult to get reservations. Plan ahead and aim for mid-week to make booking a site easier. All the sites here and at Plaskett Creek are available for reservation six months in advance, and there are no sites held for first-come, first-served visitors. 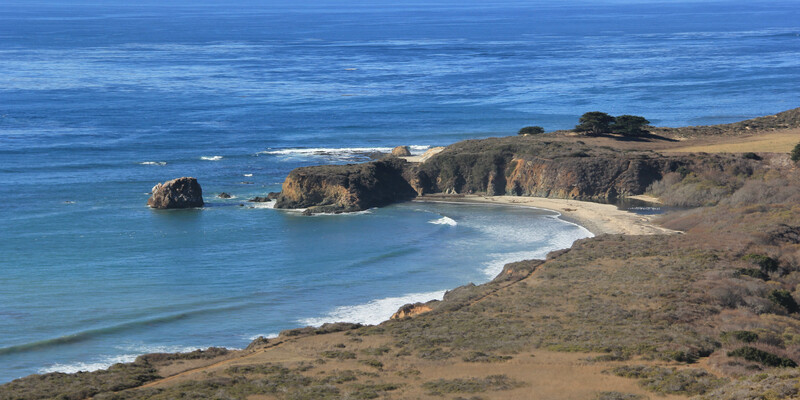 For a nice hike with scenic Big Sur coastal views, head across Highway 1 from the campground and head up the Kirk Creek Trail. Limekiln State Park provides access to a quieter, less visited side of Big Sur. Compared to Pfeiffer Big Sur and Julia Pfeiffer Burns to the north, Limekiln's ambiance is more local and low-key. 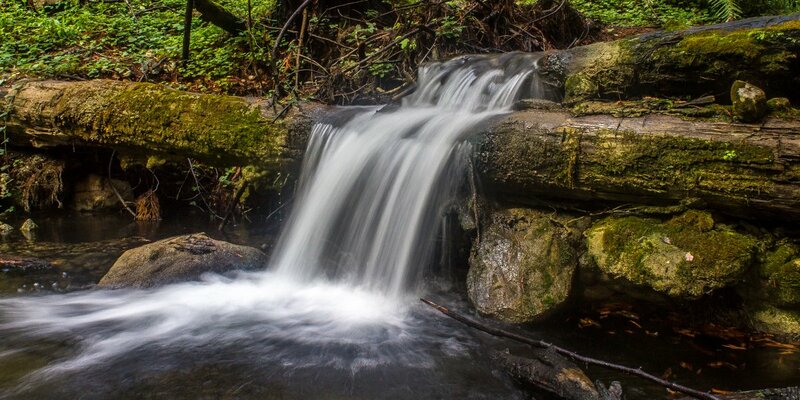 Take a walk down Limekiln Trail to escape from the heat and discover the historic limekilns tucked in the redwood forest. Another quiet and peaceful hike takes the Hare Creek Trail. When one first pictures the Big Sur iconic coastline, it's often images of Julia Pfeiffer Burns State Park that come to mind. Here the Santa Lucia mountains run into the Pacific Ocean, forested canyons fill gaps between exposed dry ridges, and near-shore kelp forests buffer the coves and shoreline. 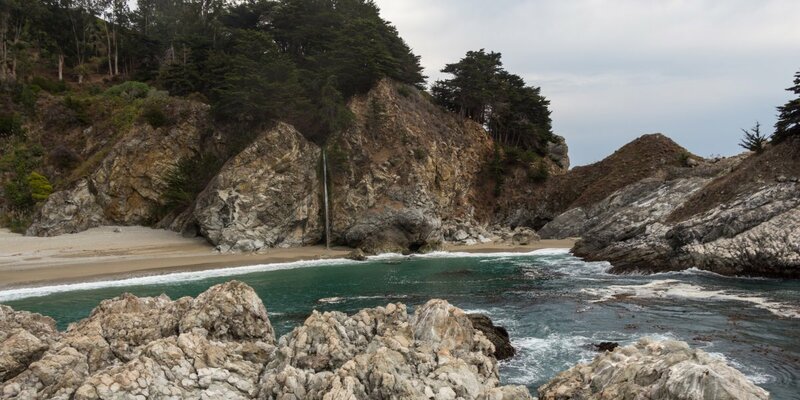 The park is best known for it's main attraction: 80-foot McWay Falls. There are plenty of other gems within Julia Pfeiffer Burns State Park that most folks miss. A short walk up McWay Creek from the main parking area accesses a network of trails that include the Ewoldsen, Canyon Falls, and Tan Bark Trails. These trails explore redwood-lined canyons and traverse the Santa Lucia mountainsides, offering an elevated perspective on this magnificent landscape. This inconspicuous cove is situated at the north corner of Julia Pfeiffer Burns State Park 2 miles north of McWay Falls in one of the most dramatic sections of the Big Sur coastline. This trail is often overlooked when driving Highway 1, but it's certainly worth a stop. Follow a 1-mile trail along a creek and through a 60-foot tunnel to a small cove with a big view. Pfeiffer Big Sur State Park is the most centrally located camping area for exploring Big Sur, and it's also the largest of Big Sur's campgrounds, offering nearly 200 sites. The park is home diverse hiking trails, the rustic yet comfortable Big Sur Lodge, and over 3 miles of Big Sur River access, including the swimming holes of the Big Sur River Gorge. Popular trails include Valley View and Pfeiffer Falls, Buzzards Roost, and the nearby Pine Ridge Trail, all of which head up into the Santa Lucia Mountains above the Big Sur River Canyon. 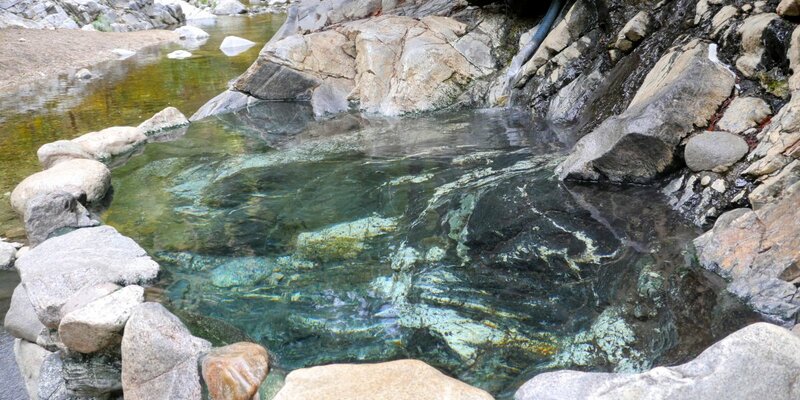 The Gorge Trail leads to crystal swimming holes in a narrow gorge roughly a half mile up the Big Sur River, a perfect respite for warm summer days. Sykes Hot Springs is one of the most coveted hot springs experience in California. The 10-mile trail leading to the springs and seven official campsites makes for a nice backpacking trip with a rewarding hot spring soak at the end. A soak in the springs is a welcome reward after the trip. Unfortunately, overuse on the weekends and garbage have become problematic here, so please remember to be respectful, practice Leave No Trace Principles, and always leave the place better than you found it. Try to plan your trip mid-week for smaller crowds, and, if you're lucky, a chance to have the area to yourself. 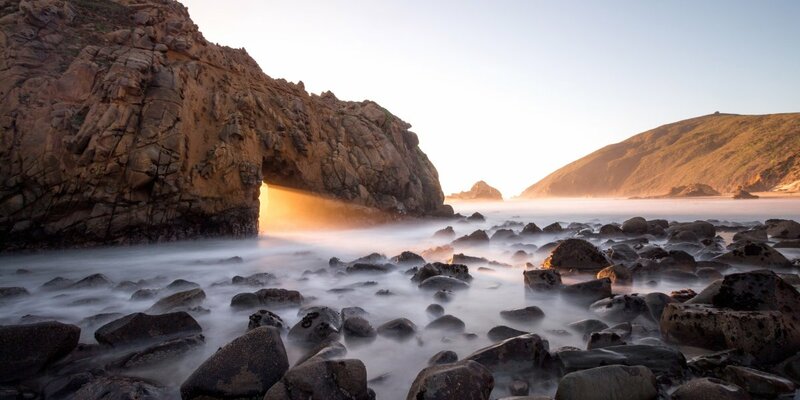 Pfeiffer Beach in the heart of Big Sur is one of the region's most popular beaches, drawing tourists, locals, photographers, and many a Highway-1 road tripper to its scenic coves and famed sea arch rocks. During December and January, when the sun sets at it’s furthest south, sunsets can be captured through the Keyhole Rock. Arrive early if you are attempting to take shots of the keyhole, as the prime photographic real estate can go quickly. 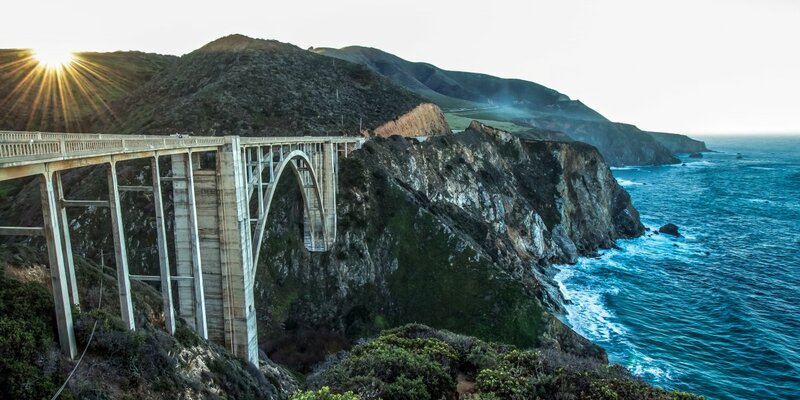 What would a visit to Big Sur be without a photo of Bixby Bridge?! On the northern edge of Big Sur, located slightly south of Carmel, is Point Lobos State Natural Reserve. While often overlooked by road trippers heading south to better known locales in the heart of Big Sur, Point Lobos offers some of the up-close-and-personal marine life viewing in the area. An abundance of wildlife, scenic coves, and pleasant hiking trails makes Point Lobos a highlight of Big Sur that should not be missed in our opinion. Check out the Cypress Grove Trail, which explores one of only two naturally occurring old-growth Monterey Cypress forests remaining in the wild. Other recommended trails include North Shore Trail, Bird Island Trail and the Granite Point + Moss Cove Trails. With so much to see and explore, plan for a few days and be sure to get out, hike, swim, beachcomb, and really take in the beauty of this magnificent area. We'd love to see photos from your Big Sur adventures, so please leave them in the comments below!